The trip includes an overview of the southern West Bank, the ancient Roman complex at Masada, a drive along the entire length of the Dead Sea, and an opportunity to dip in the healing sea waters. You'll visit a settlement, see the separation barrier, and learn about some of the political and ecological issues along the route. After leaving Jerusalem to the east, you'll drive through the large settlement of Ma'ale Adumim and continue through the Judean Desert past Jericho to the northern edge of the Dead Sea, then south along the shore. You'll have a break at one of the beaches, and have the option of dipping in the water. 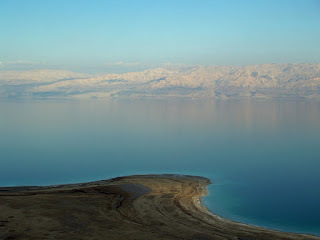 The Dead Sea has a unique high salt content that reputedly has healing powers for psoriasis and other ailments. 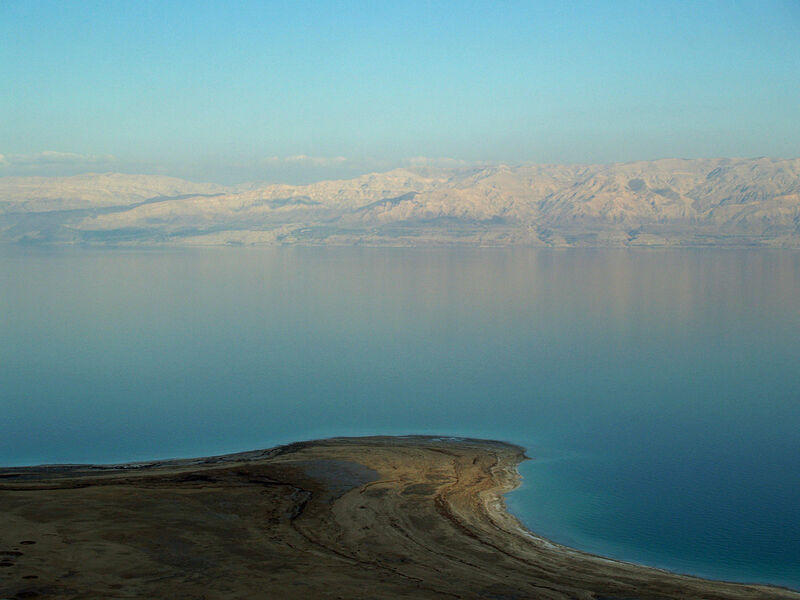 During the past few decades the Dead Sea has been steadily drying up due to the lack of replenishment from the Jordan River which begins at the Sea of Galilee. Israel uses the sea of Galilee as a reservoir and due to the demands of the growing Israeli population, and the lack of sufficient rainfall, virtually no water is allowed to flow to the Jordan River and the Dead Sea. The ecological ramifications of this are profound, and unless a solution is reached soon the Dead Sea may soon no longer be swimmable. The Dead Sea has already receded an alarming amount - it's surface area is almost half what it was in 1930 and sink holes nearby are becoming more common. 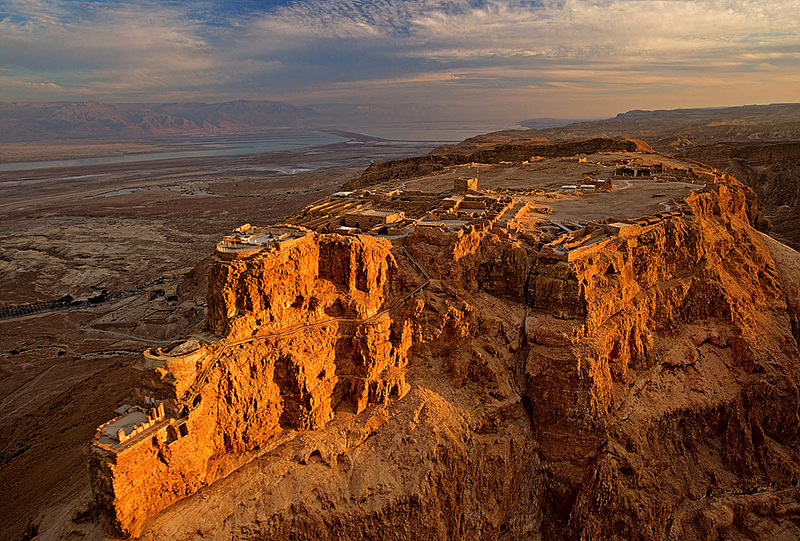 The next stop is Masada where you'll have an opportunity to ride the cable car to the hilltop fortress and explore the ruins. 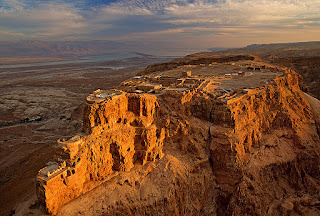 Masada was built during the reign of King Herod the Great and also embodies one of the founding ideologies of the state of Israel. The story tells us that the small band of Jews committed suicide rather than being taken by the Romans. The story of 960 Jewish rebels in 70 C.E. challenging the might of the Roman Empire is taught to every Israeli. Children are brought on a school trips to the site and the story is used to instill patriotism and the idea that it is better to die than be conquered. The suicide rebels are heroes to Israeli society. Until recently many Israeli army units were also brought to Masada as part of their indoctrination. You'll have lunch at the Masada visitor's complex, at the nearby Ein Bokek tourist enclave, or in the desert village of Arad - depending on the guide's recommendations and the desires of the group. During the drive back to Jerusalem through the West Bank you'll learn about Jewish settlements, will pass through Palestinian villages and agricultural areas, and see the 25-ft. (8 meters) high wall. You'll learn about the ongoing settlement expansion, segregated Arab and Israeli roads, and the impact of the Occupation on Palestinians. Please note that lunch and the entrance fee to Masada are not include in the tour fee. 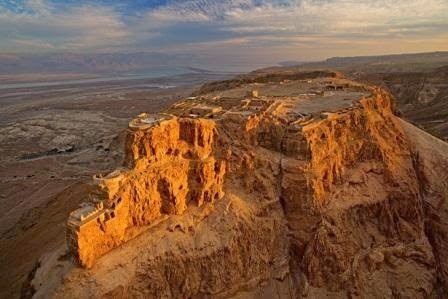 Your guide will be an expert in the political geography and ecological issues of the region but is not a Government licensed tour guide and is not permitted to conduct a tour inside Masada itself. Bring hat, sunscreen and beach shoes.